March 16th, San Francisco, CA. 10am – 5pm. Self-Care for Highly Sensitive People. A one-day public program at California Institute of Integral Studies. Myself with Alane Freund. More details via Facebook event. June 7-9th – Santa Cruz, CA 1440 Multiversity, Highly Sensitive People: Discovering Your Hidden Advantage. Myself with Alane Freund. For more information and to register visit 1440 Multiversity. 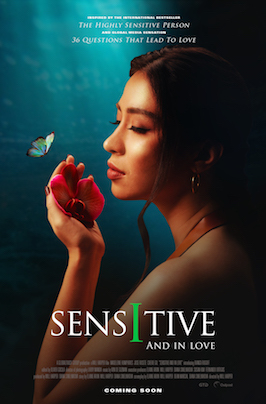 Sept 29 – Oct 2, 2019: Highly Sensitive Therapist Retreat in Upstate NY. An educational and restorative experience to learn more about yourself as an HSP, discover tools to support your clients and join in a supportive community. Hosted by April Snow, AMFT and featuring Alane Freund, LMFT teaching: The Science and Self-Care of High Sensitivity. For more information and to register visit here. 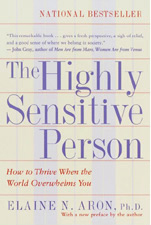 November 3-8, Santa Cruz, CA 1440 Multiversity, Highly Sensitive People Self Care University. Myself and Alane Freund. Topics to include: Families and Relationships (Intimacy), HSPs at Work (Entrepreneurs), Parenting (Re-parenting self), Spirituality (I will spend a day on this), Boundaries, Communication, Radical Self Care, also classes specifically for family members who are not sensitive. This event is not yet on the 1440 Multiversity website yet…but you can reach out to them to find out more information.